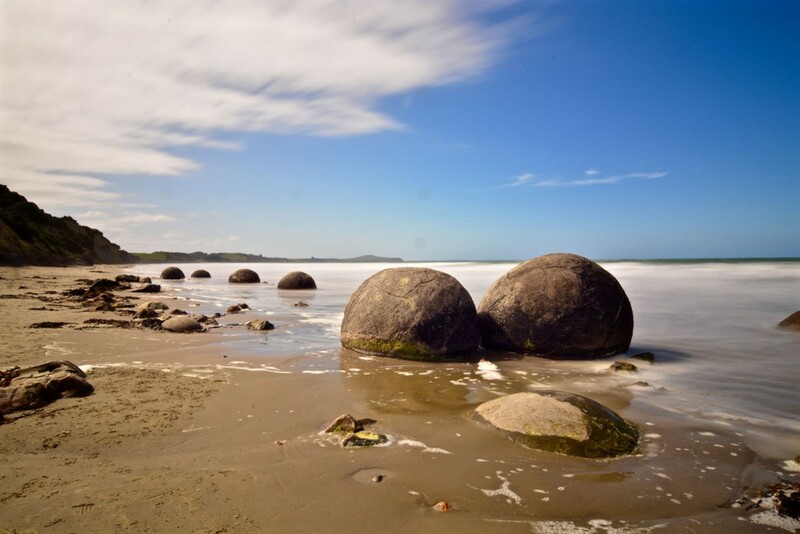 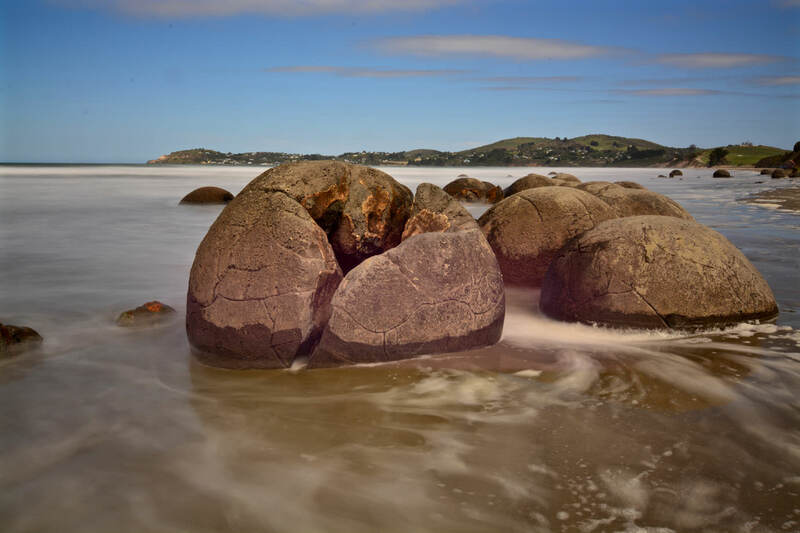 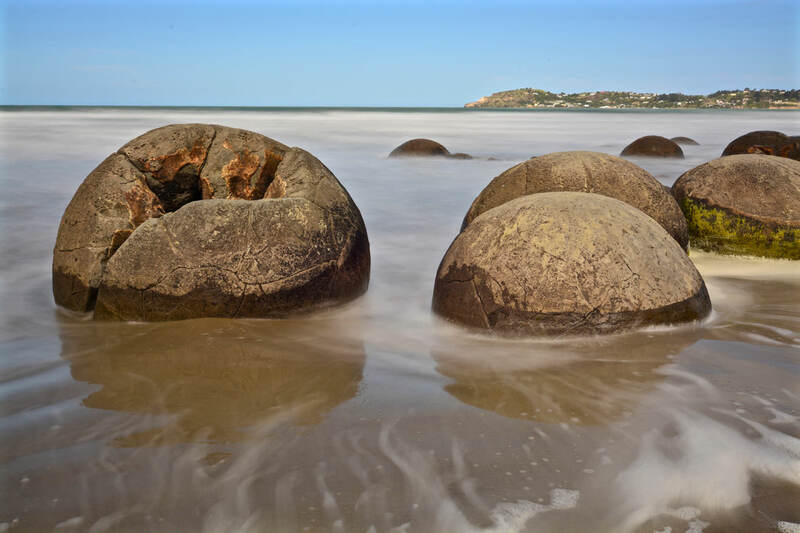 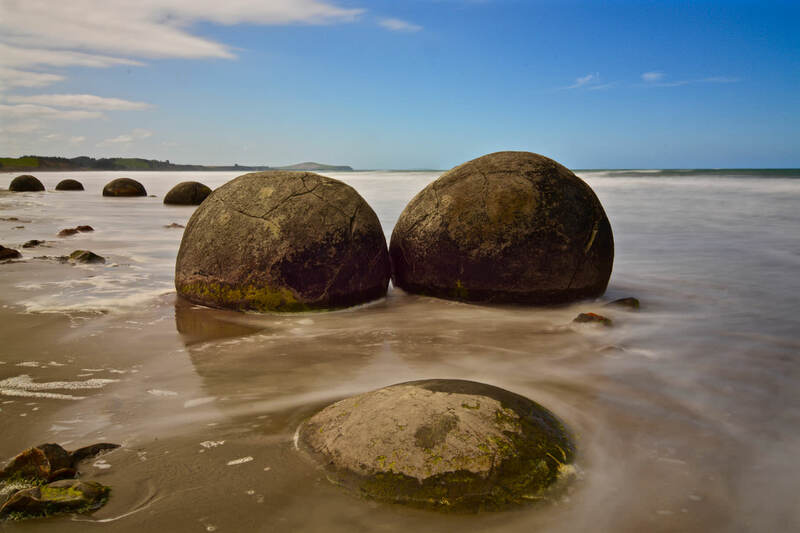 Moreaki Boulders are mysteriously spherical stones spread across Koekohe Beach on the Otago Coast next to Moreaki, New Zealand. 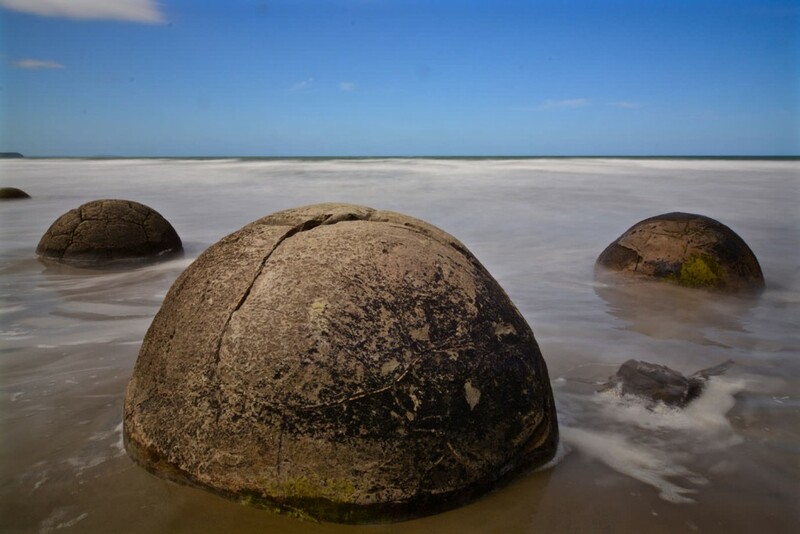 Some of the boulders are up to two metres high and weigh several tons. 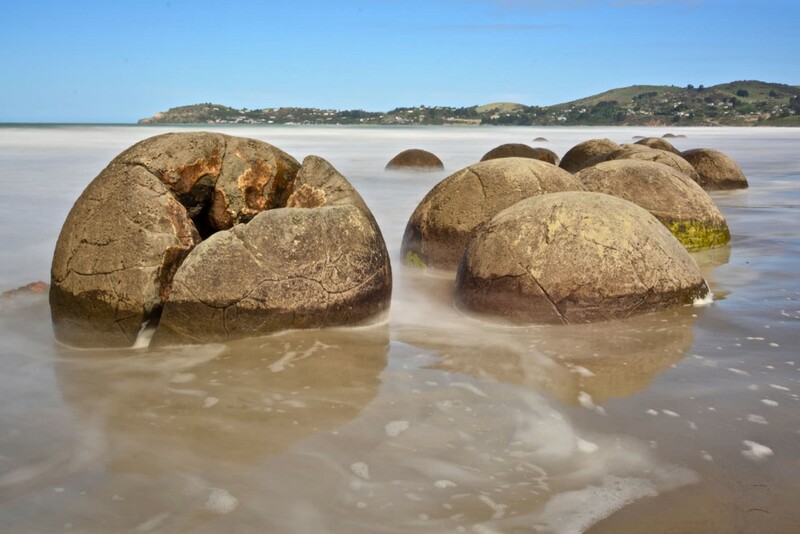 Formed about 65 million years ago the rocks are calcite concretions. 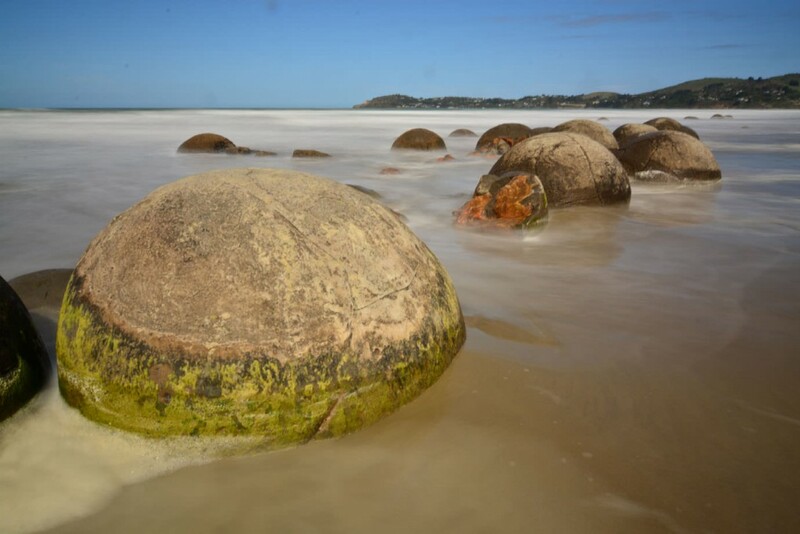 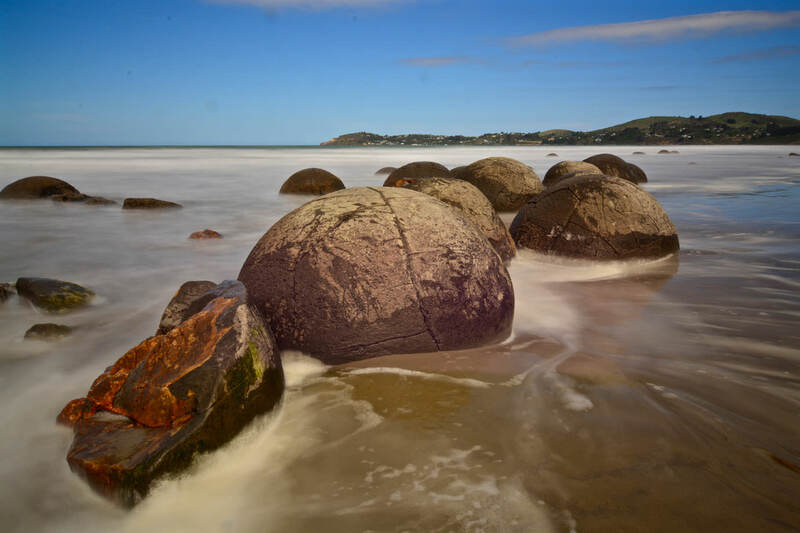 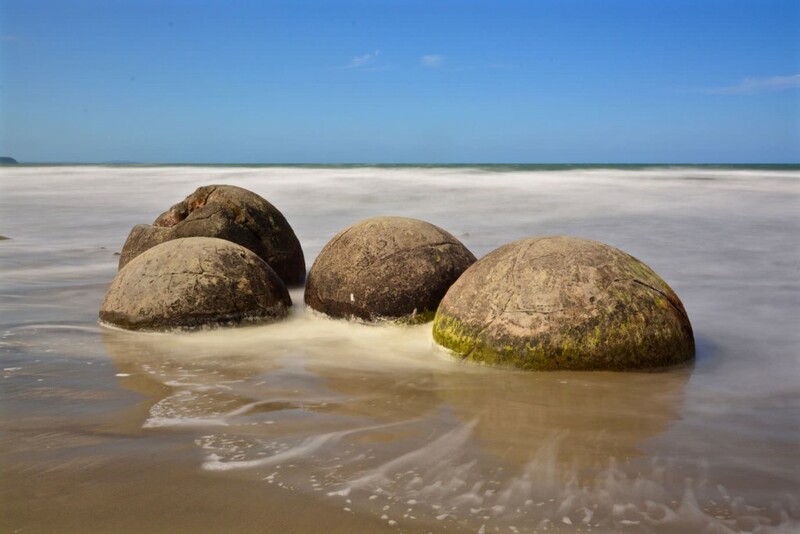 Due to their unusual shape the boulders said to be gourds washed ashore from the great voyaging canoe Araiteuru when it shipwrecked upon landing according to Maori legend.